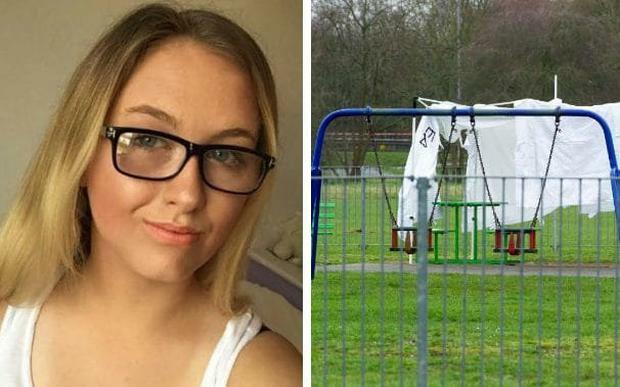 A 17-year-old girl who was fatally stabbed in a park was socialising with friends before she was approached by two males and attacked from behind. Jodie Chesney, 17, died at the scene in Harold Hill, east London, just over an hour after police were called to the park at 9:25pm. The suspect who attacked Jodie is described as a black male aged in his late teens, the Metropolitan Police said on Sunday. There was no description given of the other male who approached Jodie and her five teenage friends while they were playing music. The group were aware of the two males being in the park and saw them leave at around 9pm, police said. “Around 30 minutes later the pair returned to the park and walked straight towards the group, where one of the males stabbed Jodie once in the back,” a statement from the force said. “Nothing was said by the two suspects, who ran off in the direction of Retford Road,” it added. A post-mortem carried out on Sunday established that the cause of Jodie’s death was trauma and haemorrhage, and police released a photograph of the teenager on the same day. Detective Chief Inspector Dave Whellams, who is leading the investigation, appealed for witnesses to come forward. He said: “Although the description of the suspect is limited, I am certain that people will have seen the two males hanging around the park or running away from the scene – or will otherwise have noticed something suspicious. Jodie’s uncle Dave Chesney told ITV News on Sunday that the family had lost a “beautiful, lovely and quirky” girl. Mr Chesney said Jodie was the daughter of his youngest brother Pete, adding: “We value your support and prayers at this time especially for our brother Pete, his wife Jo and Jodie’s sister Lucy. Posting on Facebook on Saturday, Jodie’s grandmother Debbie Chesney said too many young people were having their lives “cut short by needless violence”. She echoed calls for people to come forward with information.